Editor-in-Chief Jack Curran spoke with Ithaca College President Tom Rochon about the “blue sky” reimagining, which was announced at the president’s March 5 all-college meeting. Benjamin Rifkin, newly hired provost and vice president for educational affairs, said he is very passionate about offering study abroad to as many students as possible. Ithaca’s new karaoke lounge, K-House, offers up music, food and art to its visitors. Ithaca College honored 1,345 students as they became alumni May 18 when it held its 119th Commencement. FLEFF will run from March 31 to April 6, and will include more than 100 film screenings and workshops on the Ithaca College campus and at Cinemapolis. The college will hold its fourth annual Be The Match Bone Marrow Registry Drive from 10 a.m. to 3 p.m. April 2 in Emerson Suites. Ithaca College announced March 5 that “Late Night” host and comedian Seth Meyers will perform at 8 p.m. April 12 in the Athletics and Events Center. The Ithaca College Office of Financial Services has made changes to its website after being accused of violating the Higher Education Act of 1965 by not clearly stating what forms are and are not required for students to receive federal financial aid. 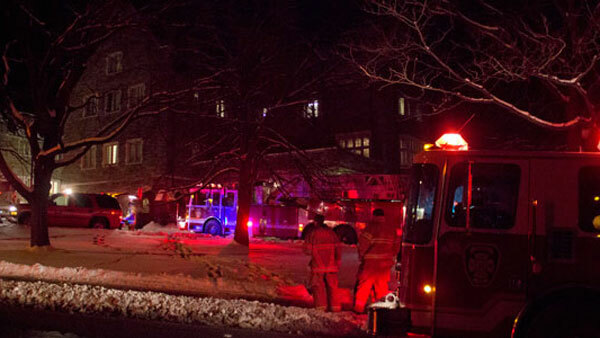 A fire occurred around 1 a.m. Feb. 7 in North Balch Hall at Cornell University. Several Ithaca College students returned from winter break to a series of burglaries to their homes on Pennsylvania Avenue.